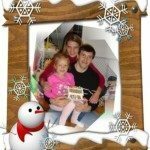 Maria Datsyuk is the second and utterly beautiful wife of Pavel Datsyuk, the Russian NHL player known as the Magic Man and who is the alternate captain for the Detroit Red Wings and captain of the Russian men’s national ice hockey team for the 2014 Winter Olympics. 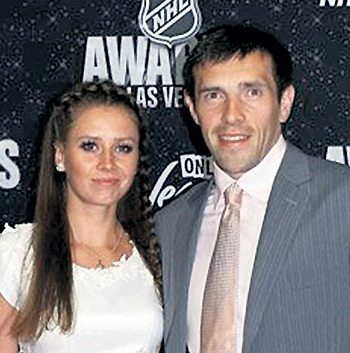 Maria Datsyuk’s husband Pavel Datsyuk was born July 20, 1978 in Sverdlovsk, Russia. 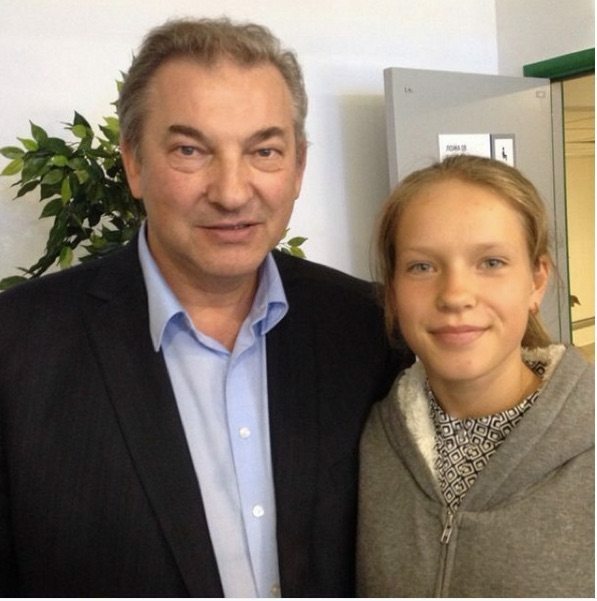 He started playing hockey in 1990 with Dynamo Yekaterinburg, and for Ak Bars Kazan in 1999. 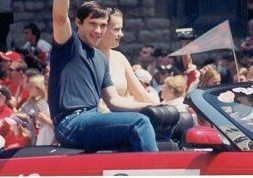 Datsyuk was selected by the Detroit Red Wings (171 overall) in the 1998 NHL Draft. He joined the Dynamo Moscow during the NHL Lockout in 2004-2005 and played with the CSKA Moscow of the Kontinental Hockey League (KHL) during the NHL’s second lockout in 2012-13. 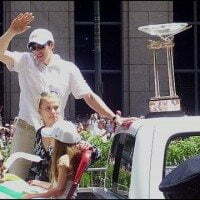 He returned to Detroit, but will leave the NHL and go back to Russian by the end of the Red Wings’ 2016 playoff run. 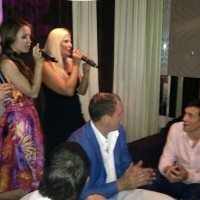 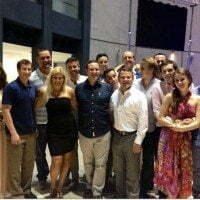 Pavel Datsyuk has been married twice,he met his first wife Svetlana at a cafe in Sverdlovsk when he was 18, he didn’t mentioned he was a hockey player but rather said he was a student. 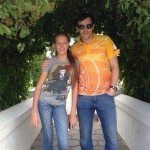 He had no choice but to tell her the truth when they started dating, Svetlana quit college to follow him to the U.S. 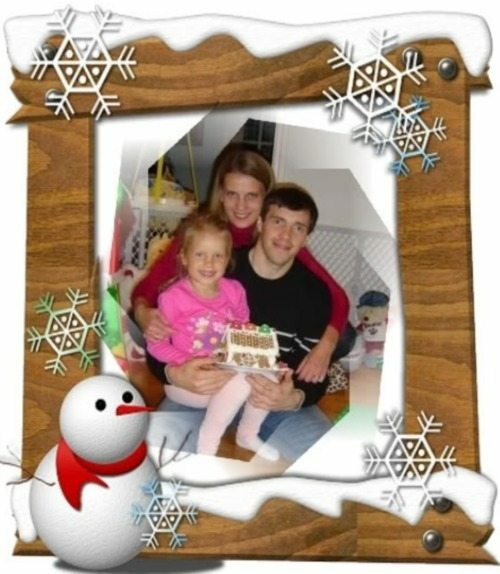 They dated for three years until they got married in 1999. 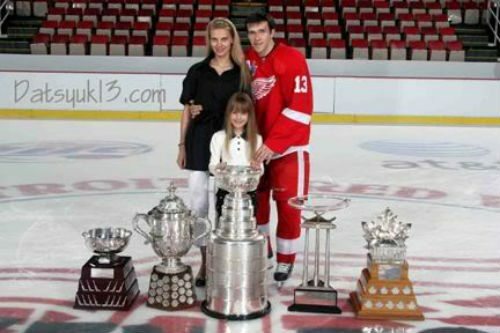 Svetlana Datsyuk gave birth to their daughter Elizabeth in 2002. 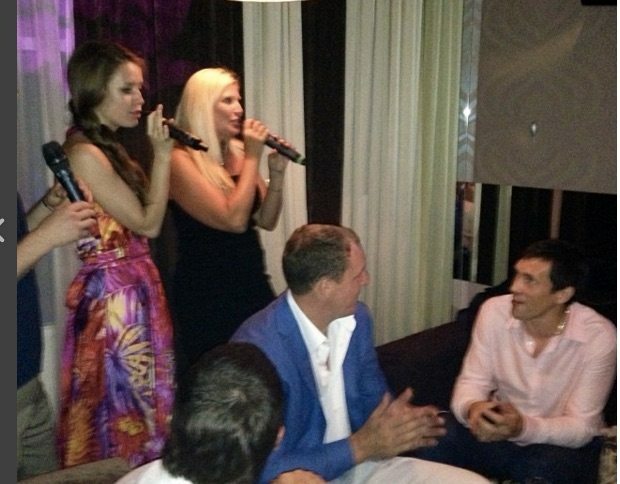 But sadly, things between Pavel and Svetlana didn’t worked out and eventually got divorced in 2010. 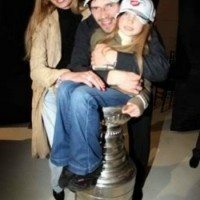 In 2012, Pavel Datsyuk married his second wife Maria Datsyuk, who gave birth to their adorable daughter Vasilisa on April 23, 2014.